Blog tour with give-aways | Quilting my way through life! 100 Blocks Volume 14 Winners! What a fun week of new blocks with lots of winners! 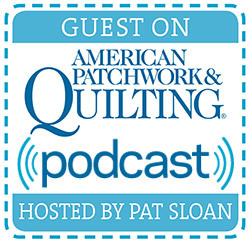 Did you visit Quiltmaker’s blog & win anything? If not, perhaps today is your day. Our first winner will win a copy of the new 100 Blocks volume 14. Yes I have made Dresden plates before. Love the block! And the fabric is so cute! and the remainder of the Layer Cake. I follow you, thanks for the tutorial. Thanks for stopping by and thanks for all of the wonderful comments. I hope I’ve inspired you to start soon! Perhaps when the Thanksgiving dinner dishes are done would be a good time, huh??? with some fun Classic Metal Company items! 100 Blocks Volume 12 Winners! I hope you’ve been inspired to get your sewing machine going with all the beautiful blocks in the new issue. It was fun reading your favorite season or reason to quilt. I love giving at Christmas, especially handmade. Thanks for the recipe. I hope all of you had fun & hopefully won something too. If not, don’t forget the magazine is now on the newsstands. I’m once again honored to be part of another volume of Quiltmaker’s 100 Blocks! My block, Frosty is #1150. He is pieced & then his face & scarf are applique. He’ll make a great after Christmas project when the snow starts flying. fabric snowmen are the only ones I truly love. If I could move to a sunny & warm climate 365 days a year I’d be happy! With Frosty here though, I can stay where it’s warm & sew him all day. How cute he would be at opposite ends of a runner for your winter table. You would have space in the middle to put a pretty bowl of snowballs (real or the cookie kind)! 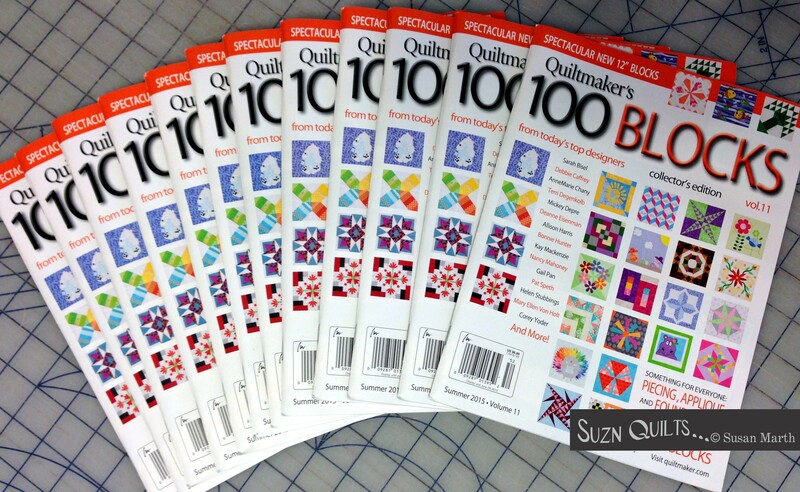 Quiltmaker’s 100 Blocks Volume 12 and start dreaming & sewing today! & give your email address so I can contact you if you win. Want to win a free Suzn Quilts pattern? Tell me your favorite pattern from my website! & another will win a free pattern from my website. Don’t forget to check out the rest of Quiltmaker’s blog tour for more fun & freebies. The fun begins today & lasts all week. Don’t forget to come back here Friday.